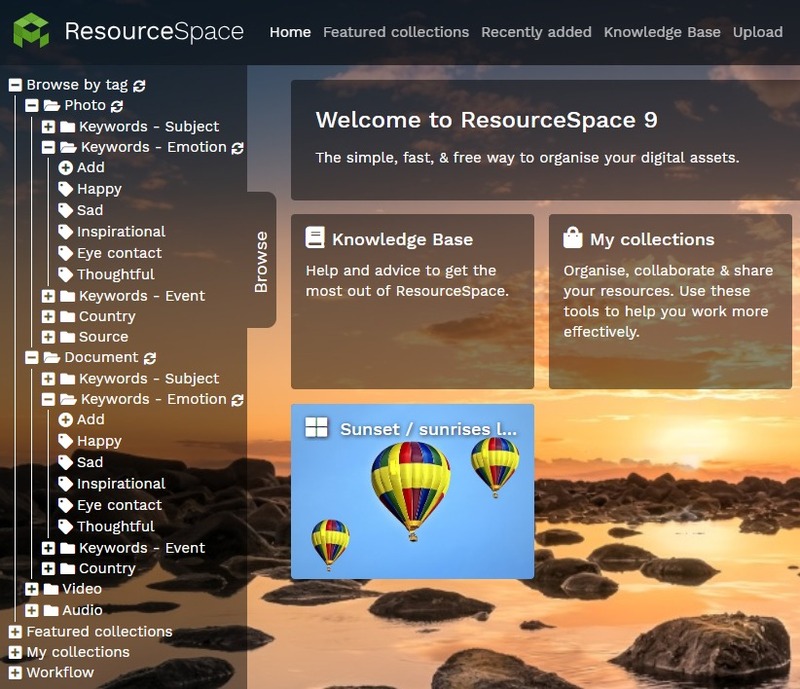 We've always relied on metadata for effective searches in ResourceSpace. A lot of clients have asked for a more familiar folder-like search though - so here's where the Browse Bar comes in. It sits at the left of the screen and allows users to drill down through resource types, metadata fields, collections and workflows. As a user moves through the options the relevant resources are shown on screen. The Browse Bar makes it easy to add metadata to resources too - users can just drag a resource into a specific metadata 'folder' and that tag will be added to the resource. Search filters have now been refined. 'Manage Filters' lets users set up as many filters as they like. They can be specific or more general and, once created, will appear as options in the permissions for each user group. Administrators can decide to apply as many as they want. The new 'upload here' button lets users perform a search and then upload resources straight into the search results. The system will tag the new resources with the resource type and metadata fields included in the search. This is designed to give you a fast and convenient way to upload new resources that you know need to be tagged with the same metadata as existing resources already on the system.